About 1 million Americans are enrolled in an MBA program, but only around 156,000 graduate with an MBA each year, according to the Digest of Education Statistics. Professional working moms run into numerous scheduling obstacles when pursuing an MBA, so it’s important to know what to expect and how to create a plan for dealing with the increased demands on your time. Students graduating with an MBA from the McCombs School of Business in Texas earn an average of $110,251 a year plus bonuses, the school’s site reports. Unless you have an arrangement with your employer, an MBA doesn’t automatically come with a pay raise. A Journal of Education for Business study found that pay for MBA grads increased by 56% within five years of graduation. Unlike traditional master’s programs, MBA programs use rolling enrollment. You travel through the program with the same group of students, enabling you to develop strong working relationships that come in handy for study groups and projects. MBA classes concentrate on real-word case studies and hands-on application in addition to traditional studies. The availability of different types of MBA programs allows you to select from online learning, hybrid courses, weekend classes or part-time studies. Virginia Tech offers four MBA programs, including full-time, professional, executive and weekend courses. The executive program runs for 18 months and includes alternating weekend classes in Arlington, Virginia. Designed for individuals who are already in a company leadership role, the classes require two Fridays and two Saturdays a month in addition to a considerable amount of individual and group work. 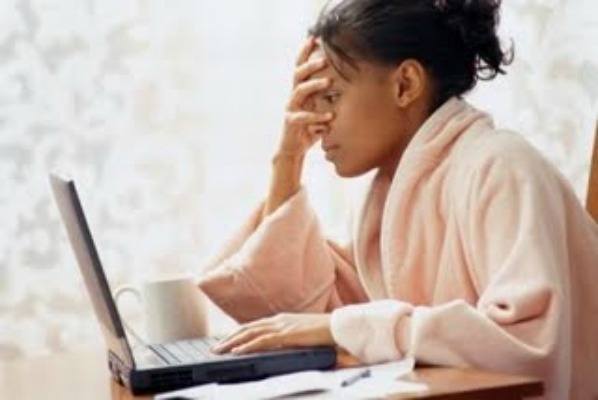 The design of the courses minimize time away from the office. Alliant University’s San Diego MBA program offers students the chance to reduce the number of classes required for a degree if they already have a bachelor’s degree in Business. The school also provides online learning opportunities and evening classes to accommodate a professional’s work schedule. You can find other examples of flexible degree programs throughout the country. Although you can customize your MBA experience to meet some scheduling needs, no option is likely to be light on workload. The Chicago Tribune reports that most successful part-time MBA students commit a total of 15 hours each week to class attendance, study, and homework. MBA students are expected to participate in group projects, write several lengthy papers, conduct research, create business case studies and make presentations. It’s not impossible to carve out time for an MBA, but make sure you understand the sacrifice in doing so. Have a sincere talk with your partner and family about the increased demands on their time, as well as a spelled-out understanding with your employer. If everybody’s on board and you find the program that best suits your life, go for it. With the No Child Left Behind Act focusing government attention on ameliorating educational outcomes for struggling students, gifted children are often the ones truly left behind. Although providing money for at-risk students is a priority, it can leave gifted programs significantly underfunded, according to USA Today. Without funding for gifted programs, teachers often lack the time to meet smarter students’ needs. This results in boredom, low academic achievement, frustration, and unhealthy work habits. The following non-traditional educational alternatives offer gifted children more avenues for thriving and embarking on academic challenges. Many public schools lack the infrastructure to meet gifted students’ needs. 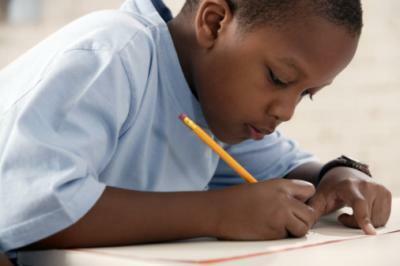 Specialized schools for gifted children focus on cultivating each child’s unique talents. For example, the Baywood Learning Center in Oakland, CA, offers a curriculum tailored to each individual’s learning pace as well as enrichment sessions ranging from Introduction to Nanotechnology to Environmental Justice. Alternative schools across the country recognize the need for high-quality gifted education, giving students the chance to interact with like-minded peers. Perhaps your child excels in Mathematics but finds high school English coursework to be a sufficient challenge. Dual enrollment at a local college or university can be a great way to meet your high school student’s specific academic needs. According to U.S. News and World Report, school districts often cover the cost of college coursework for high school students considering dual enrollment. Keep in mind that many bright students are at their peers’ level socially, so ask your child if he or she is comfortable heading to a local higher education institution for to complete college coursework. 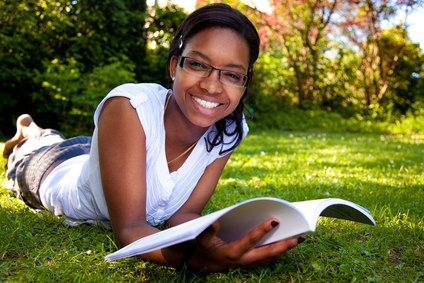 Giving your teen the opportunity to set his or her own academic agenda fosters independence. Supplement your child’s curriculum by enrolling him or her in online college classes. Students living in areas with limited advanced learning opportunities are excellent candidates for online learning. At Penn Foster (pennfoster.edu), students at can complete a high school diploma online while obtaining specialized instruction in healthcare, information technology, or building technology. Earning an online high school diploma or pursuing online college coursework while in high school is an effective way for gifted students to broaden their academic experiences. Inquire with your child’s high school administrators about whether the school helps with the costs associated with completing college coursework while still attending high school. Perhaps your child is at the 10th grade level in Mathematics, college level in Biology, and 8th grade level in reading. Homeschooling provides you with the opportunity to tailor coursework to your student’s specific learning levels. According to Duke TIP, the first step is to contact your state’s department of education or homeschool parent association to identify homeschooling requirements and regulations. Keep in mind that social development is as important as academic development. Enrolling your child in homeschool co-ops or community groups ensures that he or she makes connections with peers. As many K – 12 and college students are returning to class, it’s never too early to begin thinking about the various tests they will have to take and the necessary preparation for those tests. The purpose of this piece is to offer nine quality tips for improving one’s chances of being successful on tests. 1. Get plenty of sleep and a good meal. You can ruin your chances of not passing an exam by simply not getting enough sleep and not having a good meal before you take the exam. On the day you take an exam, you should be sure to eat a healthy breakfast. The breakfast will help you to feel your best. Additionally, don’t stay up studying so long the night before the exam that you’re too exhausted to stay focused on the exam the next day. 2. Bring everything you need to the testing site. 3. Remain calm. Don’t place so much pressure on yourself that you’re not even able to perform well. 4. Read the directions on the exam carefully. 5. Read all the answers in multiple-choice questions. 6. Answer all questions. Unless you’re taking an exam where you will be penalized more for an incorrect response than no answer at all, you have nothing to lose by guessing. 7. Read true-false questions carefully. 8. Organize your thoughts before responding to essay questions. 9. Review your responses after you’ve completed the exam. Dr. Renaldo C. Blocker, Research Associate at Mayo Clinic in Rochester, Minnesota and University of Wisconsin-Madison Ph.D. graduate in Industrial and Systems Engineering, has founded, in consultation with a distinguished Executive Committee (Strategy Team) that includes doctors, lawyers, social scientists, educators, researchers, community leaders and others, the Renaldo C. Blocker Foundation. One the primary purposes of the Renaldo C. Blocker Foundation is embodied in the Foundation’s establishment of The Why You? Initiative. The Why You? 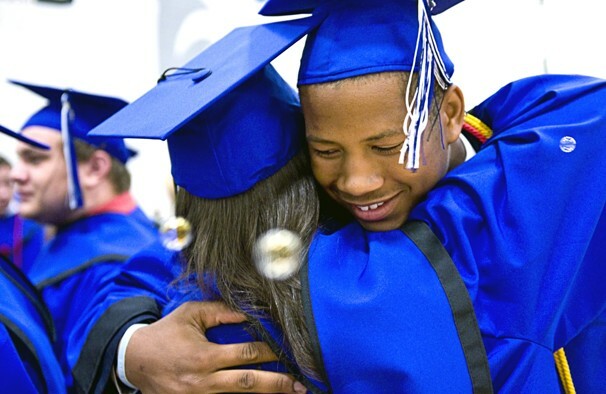 Initiative strives to help ameliorate the academic, social, professional, and personal evolution of high school, undergraduate, graduate, post-graduates and young professionals who may come from low-income, marginalized, disadvantaged and/or at-risk backgrounds. The Why You? Initiative is committed to offering practical and creative solutions and inspiration to the aforementioned individuals to empower them to unleash their maximum potential. Many leaders of this initiative come from challenging backgrounds and have had to endure difficult experiences, and those backgrounds and experiences lend themselves useful to this organization being able to equip diverse people with the knowledge, motivation, prowess, experiences, and opportunities to excel in sundry fields. It’s the core belief of The Why You? Initiative that education is one of the most powerful vehicles for leading people to success. The Why You? Initiative takes a comprehensive approach to offering longitudinal support to each member of its target population. Students and young professionals receive services tailored to their specific needs. At the core of what makes its services successful is the individualized mentoring technique. Each student and young professional is partnered with his or her own personal mentor. An extensive body of professional literature has revealed that the absence of mentoring is what leads to academic, professional and personal failure. This Initiative features programs and services that are based on data-driven research. The Why You? Initiative takes special care to engender a belief in its targeted students and young professionals that they have the capacity to accomplish all of their aspirations. Some of the free services The Why You? Initiative will offer to students and young professionals across the nation are as follows: mentoring, self-esteem development, academic preparation, career placement, writing and mathematics workshops, research and internship experiences, life skills training and image/branding management. Revolutionary Paideia announces that it will be one of the first sponsors of The Why You? Initiative and the future work of the Renaldo C. Blocker Foundation. Revolutionary Paideia endorses The Why You? Initiative and the Renaldo C. Blocker Foundation as a whole. Help Dr. Renaldo C. Blocker and his distinguished Executive Committee (Strategy Team) to help deserving students and young professionals across the nation to be equipped to succeed academically, professionally, and personally. Click on the following address to donate today: http://www.whyyou.org/. Give as often as you can and as much as you can. Any amount you give will be greatly appreciated. No amount is too small and no amount is too large. Help a person in need today by making your donation and sharing this article and information about The Why You? Initiative with others. The use of various social media platforms consumes a considerable amount of many people’s time. At every level of education, especially higher education, several social media platforms are integral to how students learn and how teachers teach. The above infographic offers an excellent understanding of this. Do you believe the use of social media in the classroom is beneficial? Outside of the classroom, have you been able to learn from various social media platforms, including blogging, Twitter, Facebook, and/or YouTube? Share your thoughts.